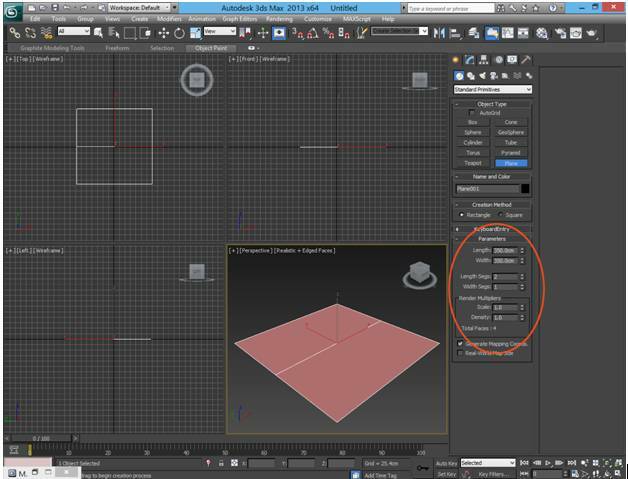 This Tutorial will show you how to use VRay for 3ds Max. With Vray, you can render awesome photo-realistic 3D images. It is an alternative to Mental Ray rendering. You can download the Vray plugin for 3ds Max and other 3D software on the internet. Vray is published by the Chaos Group Company. There is a demo version and paid version to choose from. Get the Vray download from: http://www.chaosgroup.com. Download the Vray trial from http://www.chaosgroup.com. 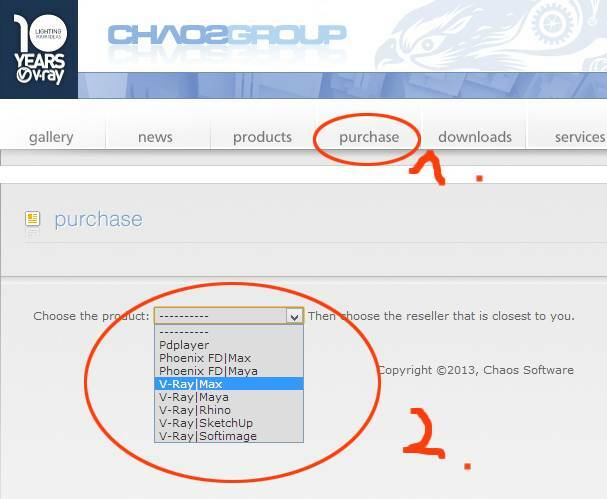 You will need to make an account in order to download or buy Vray for 3ds Max, or any other 3D software that is supported. 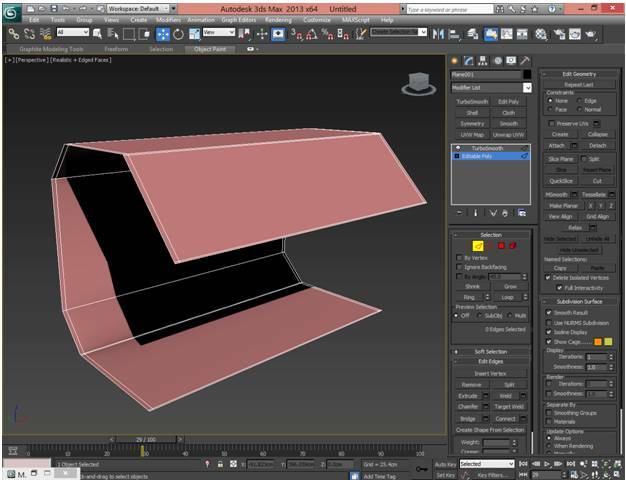 Then go to the downloads tab as shown in the photo and select V-Ray | 3ds Max. 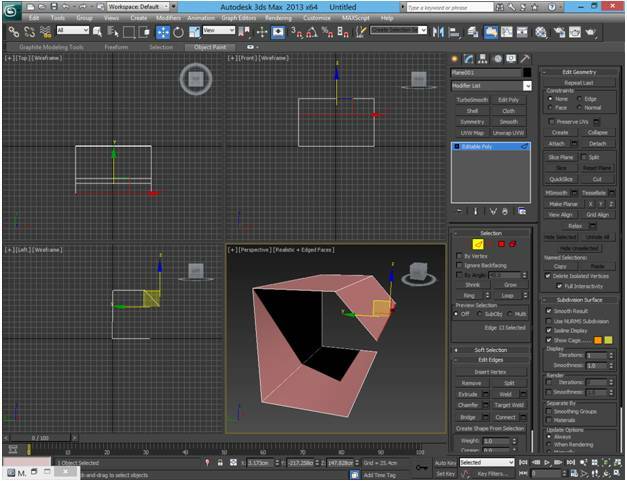 After choosing your 3ds Max, make sure you select the type of architecture your CPU and windows has. To make sure you selected the right CPU architecture check your windows properties. 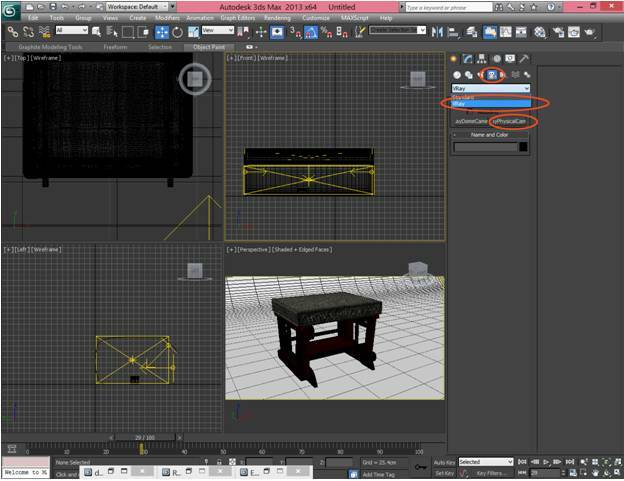 After that, click on your version of 3ds Max and save the vray plugin on your desktop. 1. 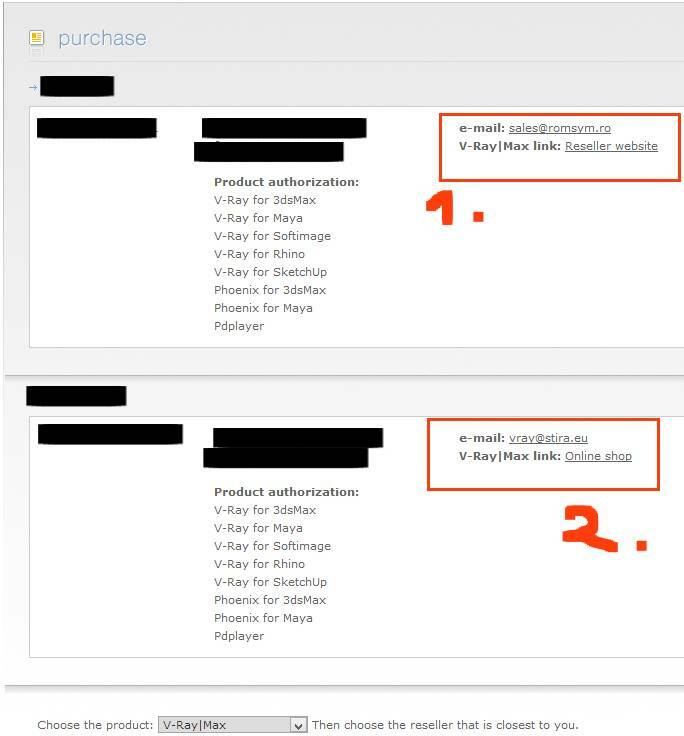 Click on the purchase button. 2. Select the program of your choice. 1. 2. 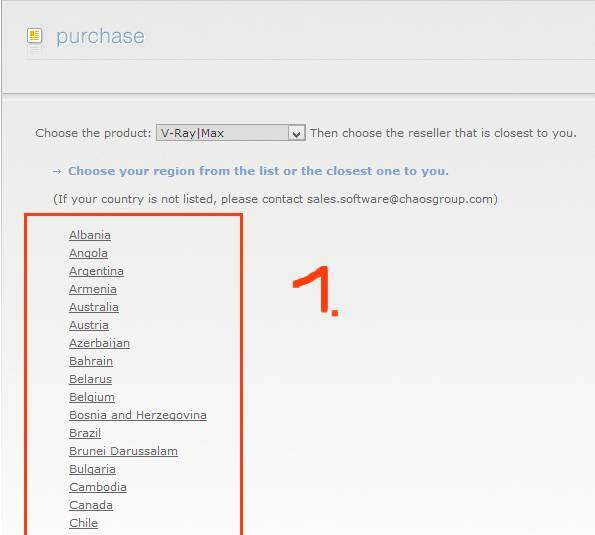 Click on the website link provided by ChaosGroup (it’s different for every country). 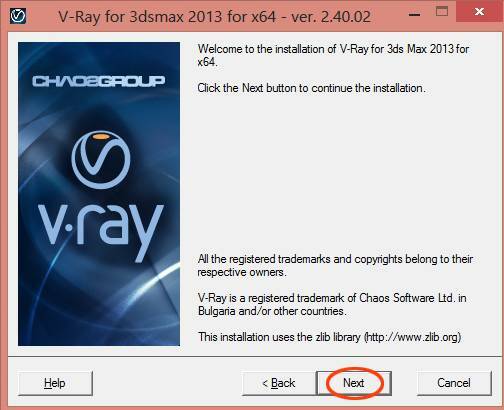 Install Vray as any other program, just hit next on the install wizard until Vray is installed. 1. 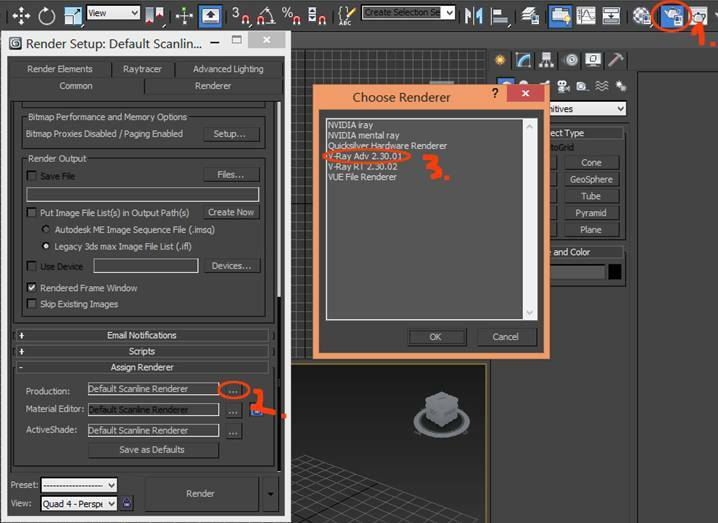 Click on Render setup button. 2. Change from your current Renderer. 1. Switch Frame buffer on. 4. Switch off Antialiasing filter. 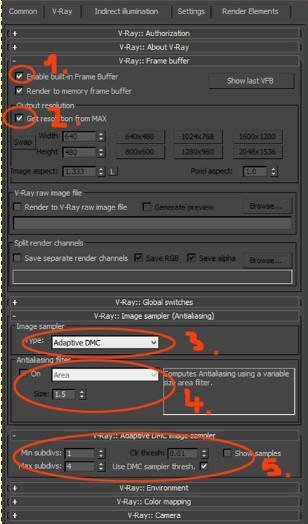 5.Make sure that the DMC image sampler is Min subdivs to 1, Max subdivs 4. 7. Switch Ambient occlusion on and change it to 0.5, & radius to 100.0m, Subdivs=8. 8. Change GI engine to Irradiance map. 10. Switch Current preset to very low. 12. Switch show calc. phaseon. 13. Change multipass from on to off. 17. Render region division is a personal preference; it’s the size of the render buckets. 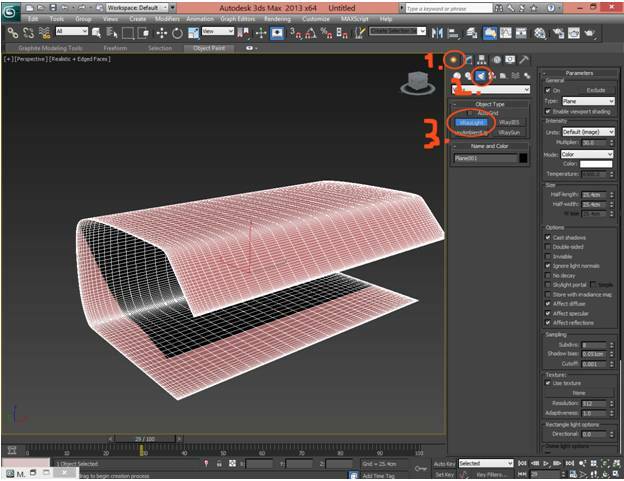 With 350cm/Length 350cm and Length Segments 2, (you can input at the end of the numbers cm and 3ds max will convert the numbers automatically). 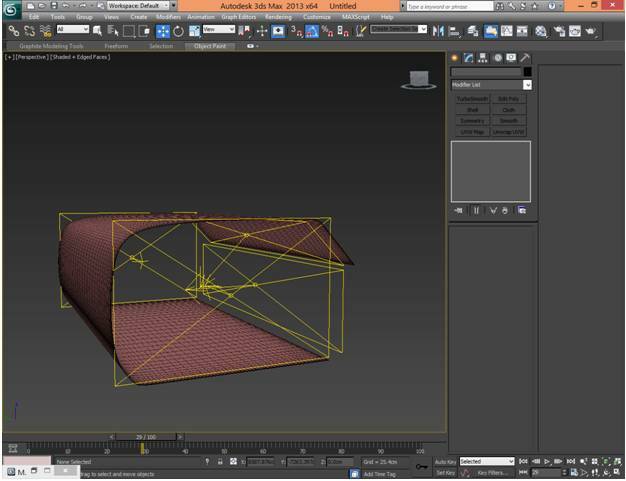 Convert the plane into an editable poly, and use edge mode to make the plane as in the following picture. (use shift and drag to edit the plane). Use the Chamfer button as in the picture and apply a TurboSmooth modifier. 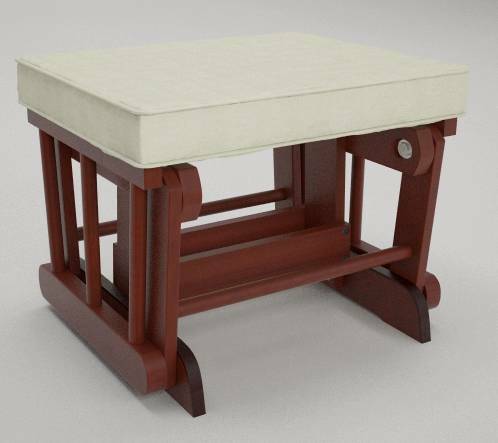 Modify the model as you see fit in order to accommodate your model! 1. Click on the Create tab. 2. Click on the lights and select Vray from the list. 3. 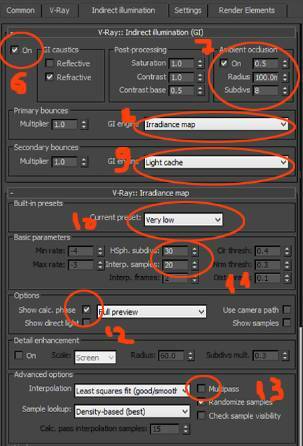 Select Vraylight and check invisible on if you don’t want the lights to be rendered. 1. Click on the Standard button. 2. 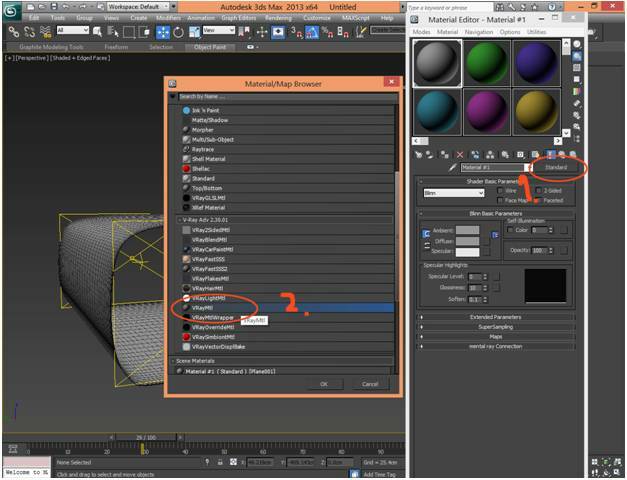 Select from the material / map browser VRayMtl. The default settings are ok. (If you are in the slate version of the material picker go to Modes on the upper right corner of the screen on select compact material editor). 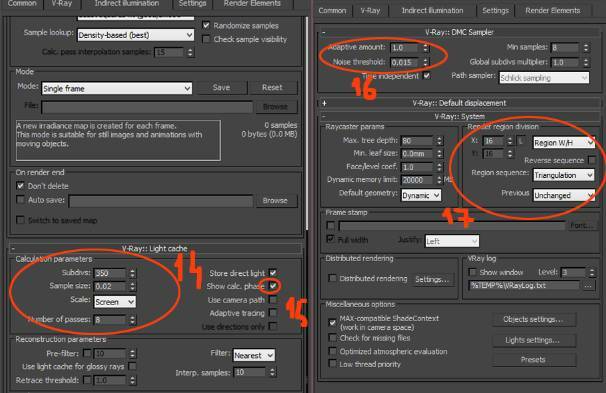 Click on the create button, then on cameras, and select the VRayPhisicalCam. Click on the perspective viewport and create a camera, (if you want to align the camera with your perspective view press on your keyboard Ctrl+C). 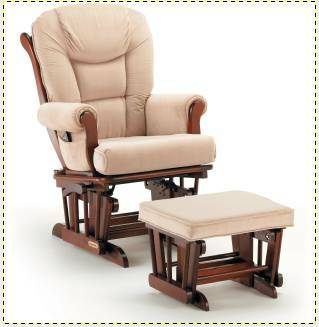 Below left is a reference photo for the model. On the right is the model with textures. 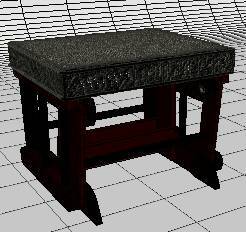 At the bottom are three bitmap textures applied to the model. Press on the F9 button and render the model in Vray. Final Vray render of model in 3ds Max.